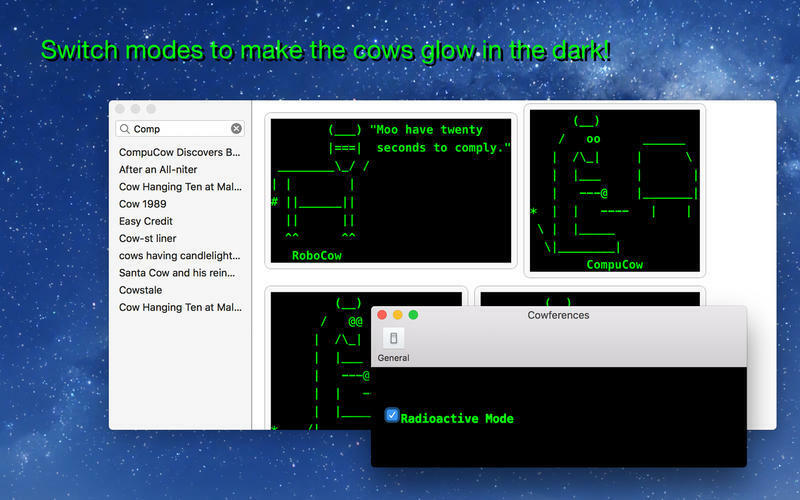 Add hundreds of ASCII cows to your source code. Is there a better alternative to CodeCows? 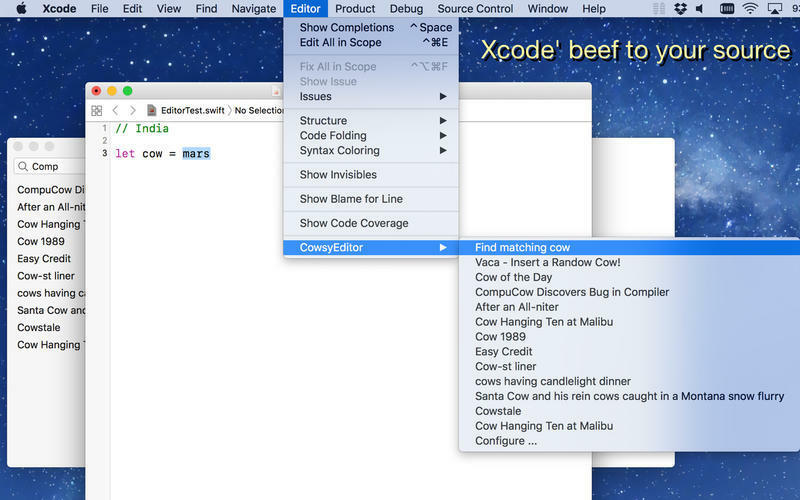 Is CodeCows really the best app in Developer Tools category? Will CodeCows work good on macOS 10.13.4? 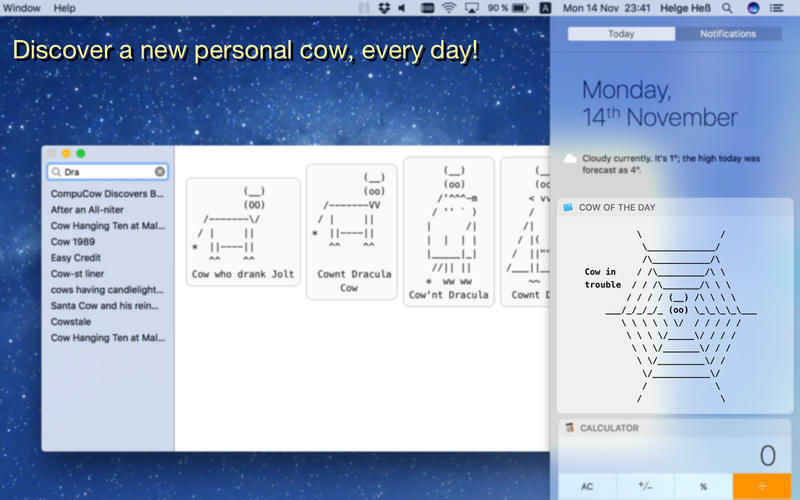 CodeCows is an Xcode extension which allows you to add hundreds of ASCII cows to your source code. 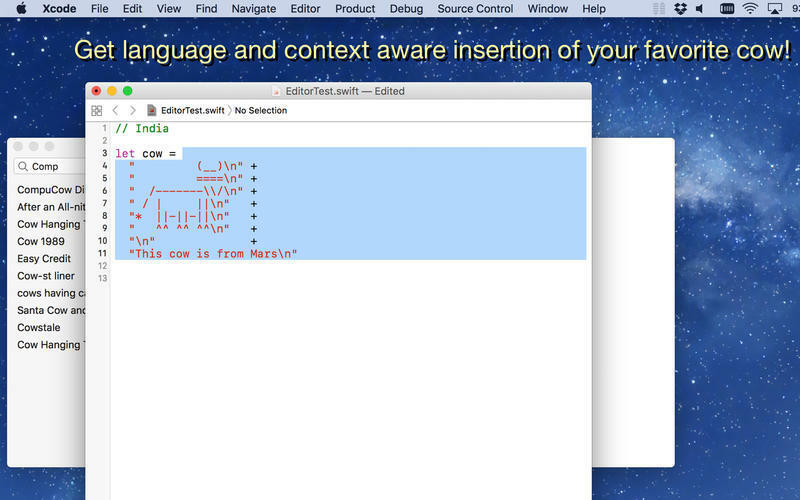 The CowsyEditor extension is context-aware and detects whether you want to use a cow as a string, within a comment or elsewhere. 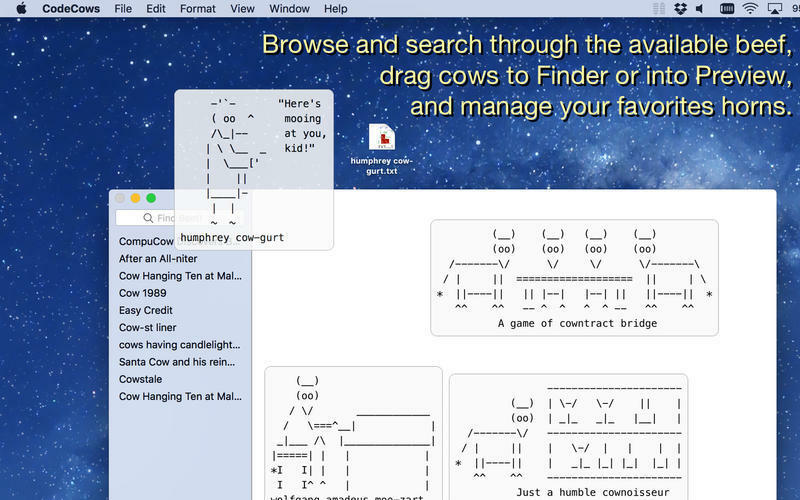 It can insert a randow cow, a personalized cow-of-the-day, or one from the list of your favorite cows. CodeCows needs a review. Be the first to review this app and get the discussion started! CodeCows needs a rating. Be the first to rate this app and get the discussion started!